Love food? Then you’re going to love National Vegetarian Week 2018! National Vegetarian Week 2018 (14-20 May) is all about eating delicious and exciting veggie food. 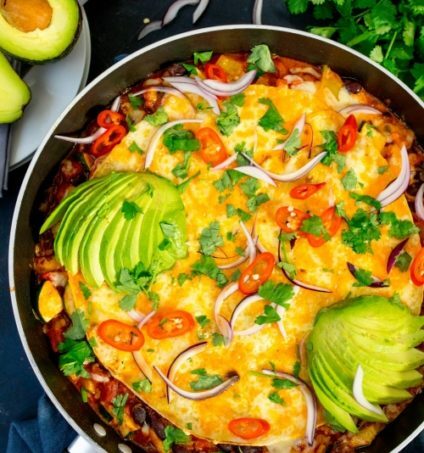 If you are looking for a tasty way to join in, head to the website for loads of mouth‑watering recipes like this sumptuous Loaded Mexican Tortilla Pan! Visit www.nationalvegetarianweek.org to sign up for newsletters which are jam packed with fantastic foodie delights, helpful information and competitions during the week! Organise a vegetarian event, sharing food, knowledge or ideas (you may be eligible for a grant). Have a bring-and-share lunch with friends, colleagues or family members. Everyone can bring a veggie dish to enjoy. Ask your school / university / office / local library to display the NVW posters. Visit your local shops and ask them to display one of the National Vegetarian Week posters, or give them a stack of flyers for their customers. 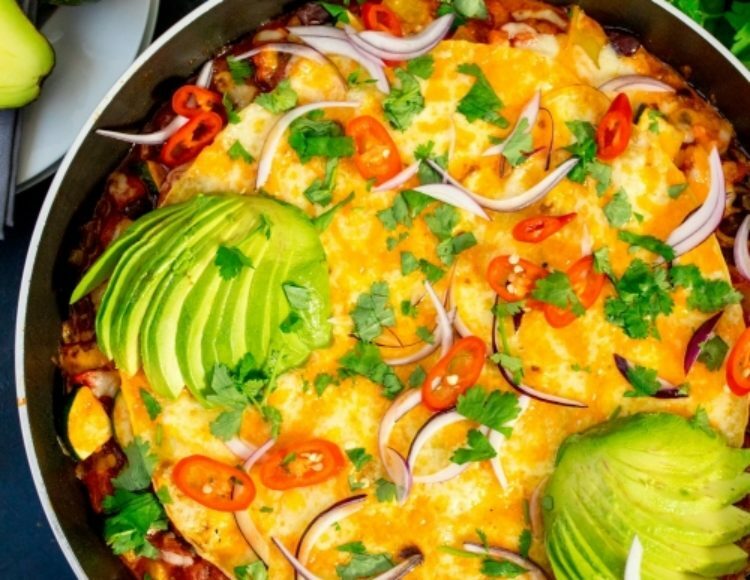 If you’re already veggie, you can still sign up for some great recipes and competitions, and additionally there’ll be a few short and sweet actions for you to take part in during the week. All things veggie and plant-based are very much on trend at the moment, and this year will see a first for the Vegetarian Society: the launch of a London Underground poster campaign. The campaign will run for two weeks and will showcase meat-free products and brands to millions of people all over the capital – and everyone can take part. National Vegetarian Week 2017 saw events happening across the country. There was a school sandwich competition, a film about veggie BBQs, urban community chefs rustled up veggie food to share, hundreds of elderly people received special home-made snack boxes featuring baked treats made and distributed by 16 to 25 year old volunteers. These were just some of the 100+ events put on by community groups, schools, universities, colleges, Brownies, individuals and others – all of which were awarded grants to help their communities get stuck in to National Vegetarian Week. The grants awarded by the Vegetarian Society ranged from £30 to £2,000, helping to make possible both large-scale and smaller more intimate National Vegetarian Week celebrations happen all across the UK.